INDUSTRY.co.id - Jakarta, FUJIFILM Corporation, represented by Kenji Sukeno as President and COO, is pleased to announce the launch of FUJIFILM XF10, a premium and compact digital camera with FUJINON 18.5mm * F2.8 high-quality fixed lens. This camera has APS-C size sensor that is 14 times larger than the sensor on the smartphonestandard. XF10 available from August 2018 has included all the advantages of the X Series camera system, which combines a simple operation manual with superior image quality and versatile shooting options. 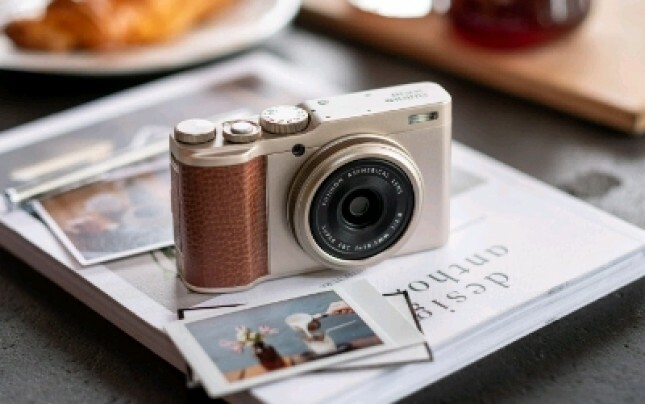 The 24.2 megapixel APS-C size sensor combined with special color reproduction technology from FUJIFILM enables XF10 to deliver high quality images suitable for a variety of needs. In addition, XF10 is the first X Series camera featuring a number of new functions. XF10 has the latest way to automatically transfer images to a smartphone and a "SQUARE MODE" that allows users to switch to a 1: 1 square format with one touch on the XF10 touch screen. With a very light weight of only 280g, high quality components and latest functional functions, XF10 is a perfect companion for smartphone users and photo enthusiasts. 1. Fujifilm's superior image quality, in my size camera weighs just 280 grams. Equipped with APS-C size sensor, the XF10 has superior image quality and wide dynamic range. It produces sharp, high resolution images that can meet the needs of all types of photographers. 2. Funinon lenses are of high quality and can take various subjects from landscape to snapshot. The Fujitson 18.5mmF2.8 lens, equivalent to 28mm on 35mm format, ensures that every image is sharp from center to edge. Despite its size, the lens optic design fits perfectly with the XF10 sensors. The "Digital Teleconverter" function makes the XF10 capable of taking photos with 35mm & 50mm focal lengths on 35mm format. 3. Enhance the creativity of its users with Fujifilm's unique mode of simulation and advanced filter. XF10 offers 11 unique Simulation Film modes and 19 Advanced Filters, including two filters namely "Rich & Fine" and "Monochrome [NIR]". This mode will allow photographers to easily add artistic styles to their photos. 4. "SQUARE MODE" allows XF10 users to switch to a 1: 1 square format with one touch on the touch screen. "SQUARE MODE" improves compatibility with social media networks that make the 1: 1 square format the standard image format for posting photos. 5. Available "4K Movie" and "High Speed ​​Video" to meet the demand of advanced movie function that is currently being increased.